My dream for our little town. 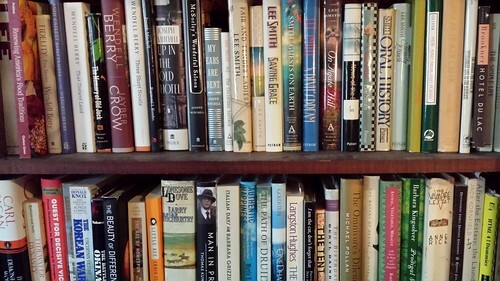 I am not an avid reader although I do love my books we need more bookshelves here at home. We had a great little book shop in town it was a great adventure for my Mum & I & many others in our community, so it was a sad day in our little community when it shut down, thanks to our council. So my dream for our little town is your dream a little café bookshop, oh what bliss the smell of a great coffee & good book. Love kindred dreamers.